The essential manual on how to find your way anywhere in any situation. For anyone who enjoys walking, mountaineering, canoeing, skiing, sailing, or mountain biking, it is important to have a sound grasp of key techniques for planning and maintaining a route under any possible condition, day or night, rain or snow. 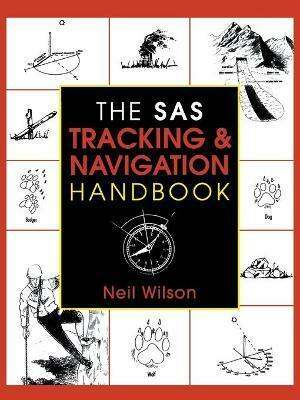 This compact, easy-to-use handbook, developed out of six decades of experience by the British Army's Special Air Service Brigade, provides clear advice on navigation methods, both for a fully equipped journey and in emergency situations.Beginning with such navigation fundamentals as understanding map grid references and how to use a compass and GPS (global positioning system), this handbook goes on to provide detailed information on such subjects as finding your way without a map or compass, reading the sun and stars, navigating in extreme environments, marking trails, signaling for help, and tracking both animals and people as well as basic tips on how to elude being tracked yourself. Every procedure is demonstrated in step-by-step diagrams that clearly outline what to do and what not to do in order to bring you and your companions safely to your destination. Neil Wilson is a freelance travel and outdoor pursuits journalist. An active mountaineer, mountain biker, sailor, paraglider, and snowboarder, he has written and photographed more than 30 books and traveled through Europe, North Africa, Mexico, the Far East, and Australia in the course of his work.